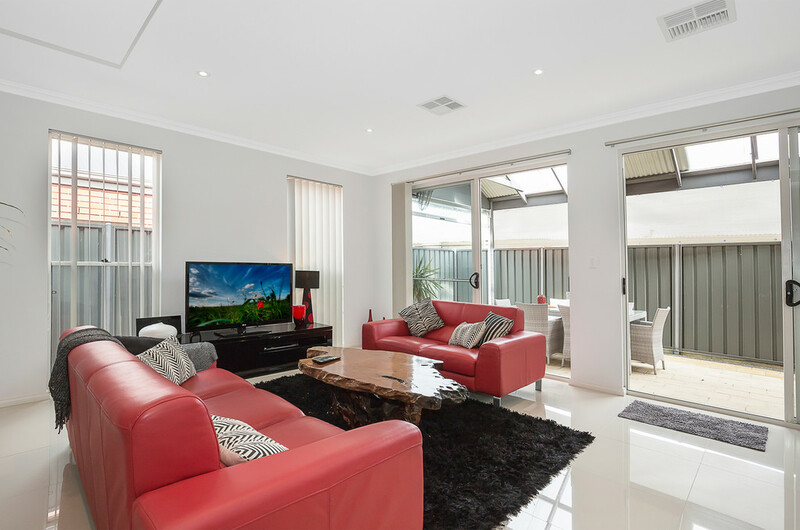 Quietly located on a corner allotment, this modern homes offers a level of luxury and opulence that will please even the most discerning of purchasers. A low maintenance front yard with drought resistant plants frames the wide street frontage of this quality built Caspian Home, inviting us further into its palatial environment. A wide gallery style hallway greets us upon entering the home. 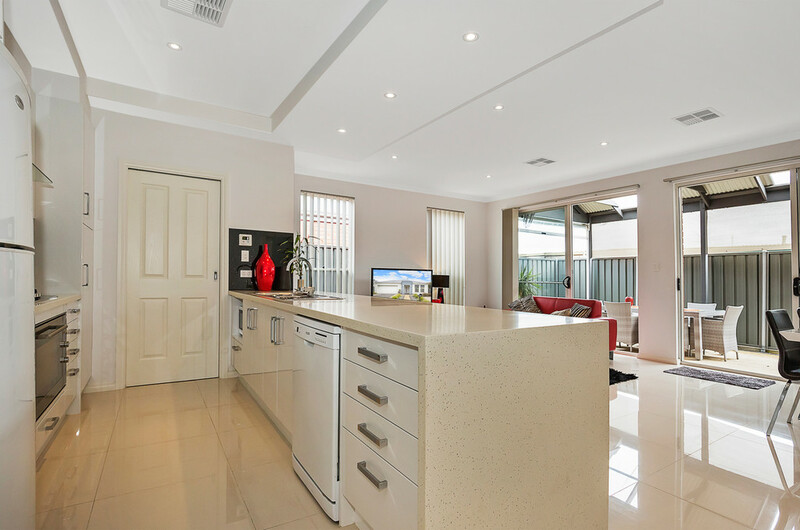 A neutral colour scheme and sparkling porcelain tiles flow effortlessly to the main living / dining / kitchen area. A magnificent chefs kitchen with stainless steel appliances, high gloss cabinetry and quality benchtops, overlooks the living / dining area and the outdoor living pergola beyond creating a comfortable and well appointed work space, perfect for those who like to entertain at home and ideal for the young parent who needs to keep an eye on the children while preparing meals. A laundry with external access is located off the kitchen, completing a cleverly designed domestic hub. 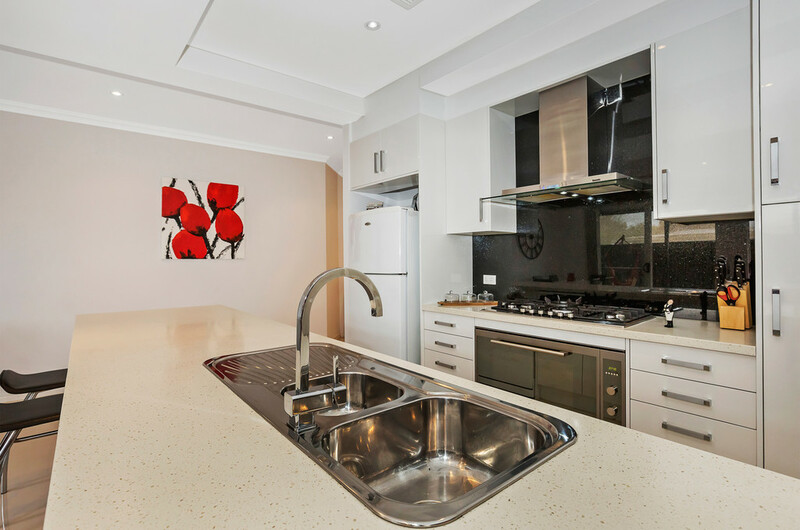 Internal access from the double garage is right next to the kitchen, allowing easy unpacking of the weekly groceries. 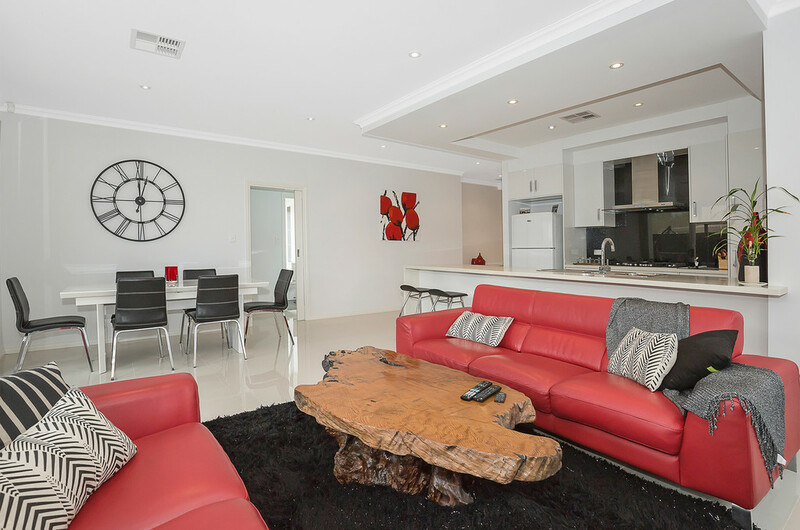 The living / dining area is a generous space with room for the whole family to recline and dine in comfort. 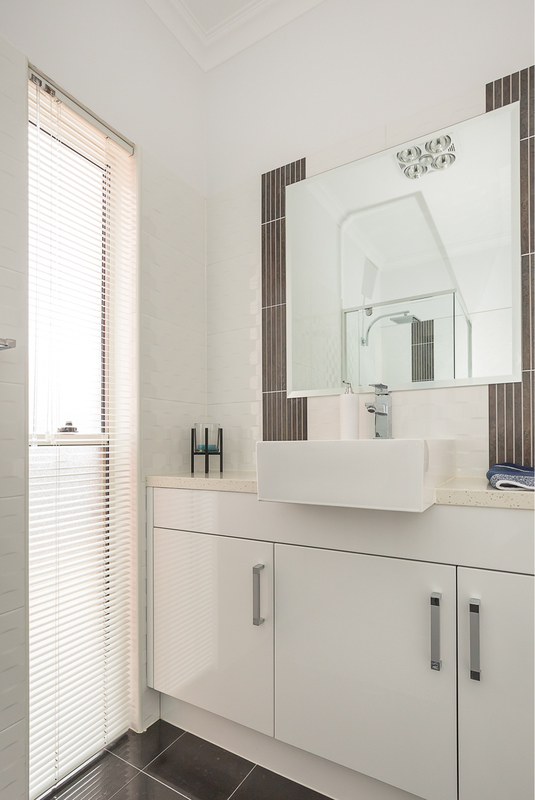 The porcelain tiling makes a sharp, clean statement and down lights add to the overall luxurious feel. Dual sliding doors open out to a gabled pergola, complete with caf blinds and two built-in fans, enabling year round outdoor entertaining. A fully landscaped side courtyard with tool shed, garden area and a rain water tank completes the outdoors. 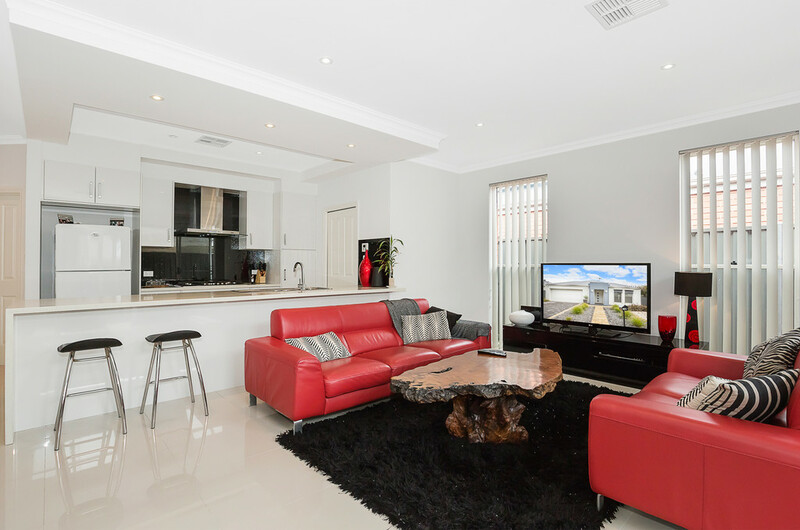 The home comprises 3 bedrooms. 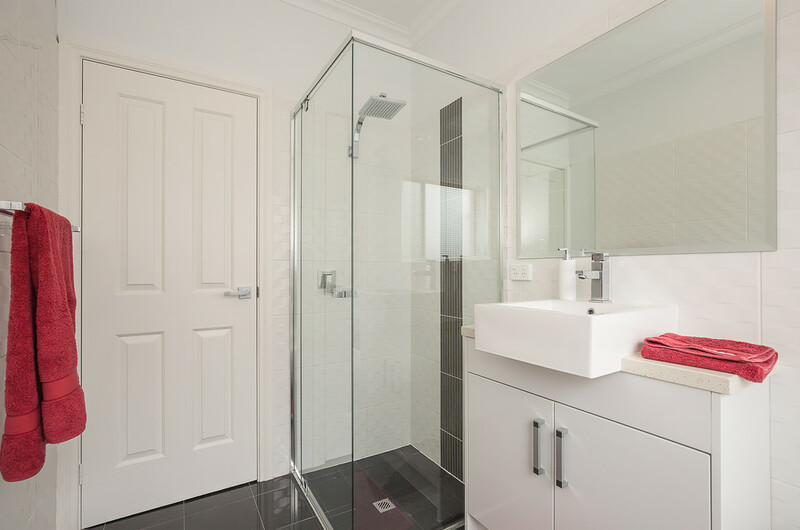 The master suite has a walk-in robe plus an ensuite bathroom, beautifully tiled in the latest trending tiles with modern fixtures and tapware. Bedrooms 2 & 3 are both large enough for double beds and both are fitted with built-in robes. 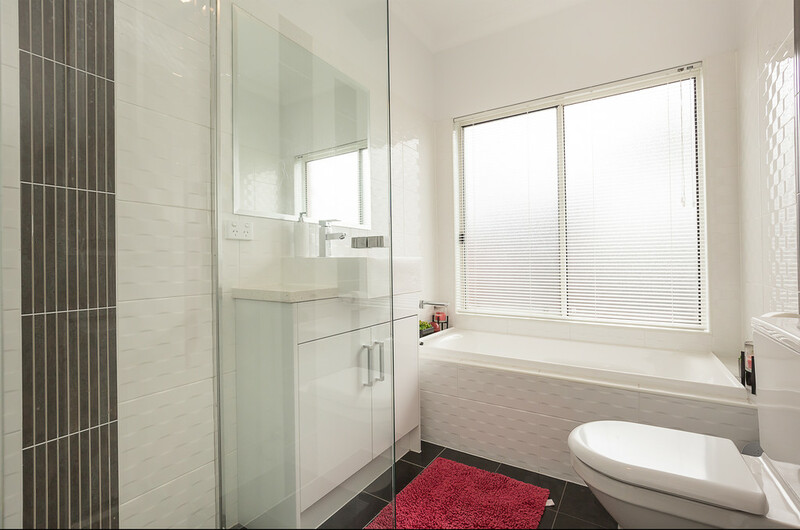 A full family bathroom with the same quality fittings as the ensuite is conveniently located between these bedrooms, also acting as a guest bathroom. 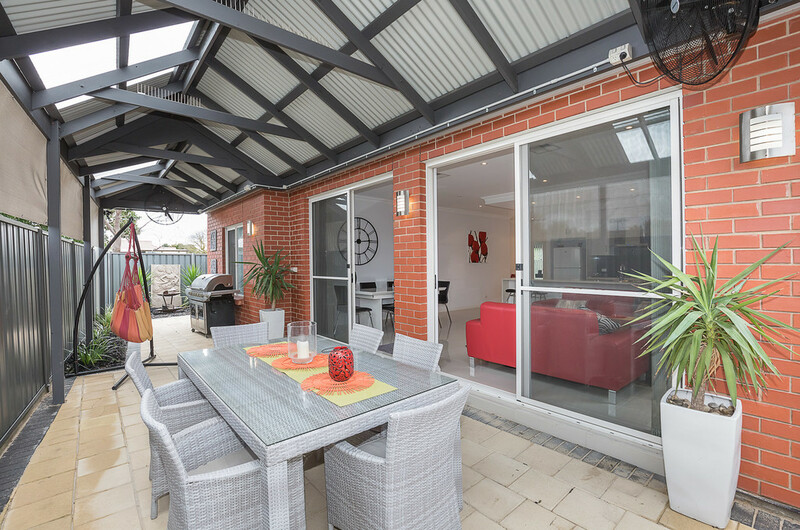 Perfectly located amongst other newer homes in a quiet neighbourhood. 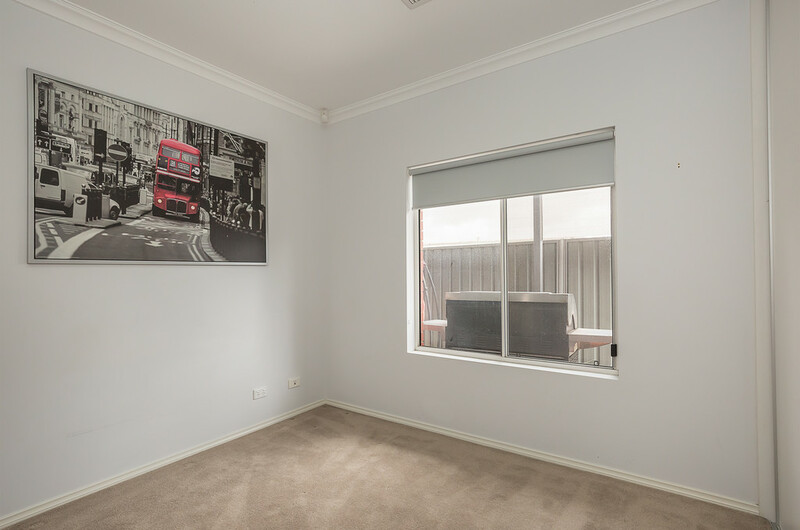 Public transport is a short walk away to Wandana Avenue or Grand Junction Road and there is a heap of reserves and parks in the local area including the Dry Creek Linear Park, the perfect location for daily exercise. 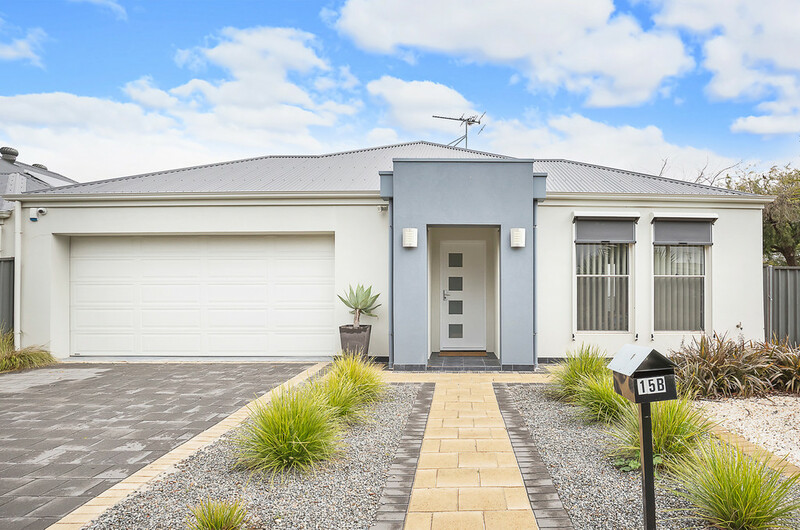 St Pauls College and TAFE SA Gilles Plains are within easy walking distance with Heritage College, Cedar College, Gilles Plains Primary, Windsor Gardens Secondary, Para Vista Primary and Valley View Secondary all within easy reach. 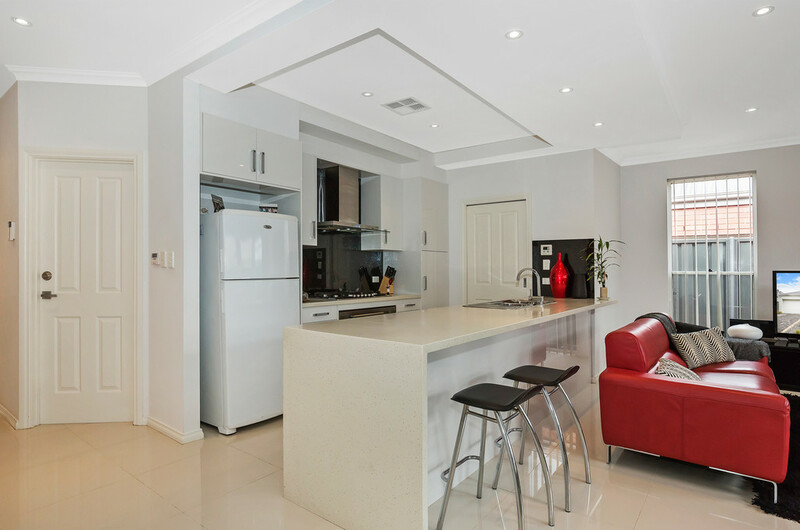 Choose to shop at Gilles Plains or Northgate Shopping Centres with Foodland Valley View close by for a quick pick up and Tea Tree Plaza just up the road for a quality shopping experience. 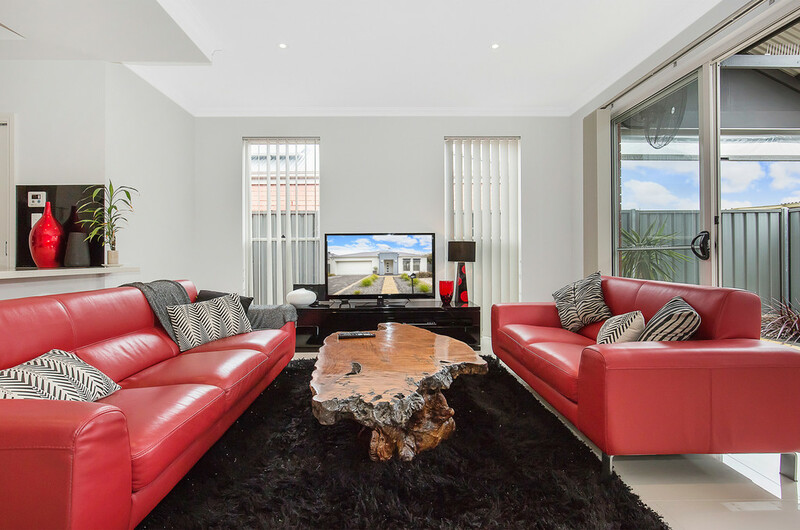 A luxurious lifestyle awaits the lucky purchaser of this quality built home. Reward your success and be sure to inspect.